"I expect this to be a fairly straightforward discussion tonight," says Lyons. 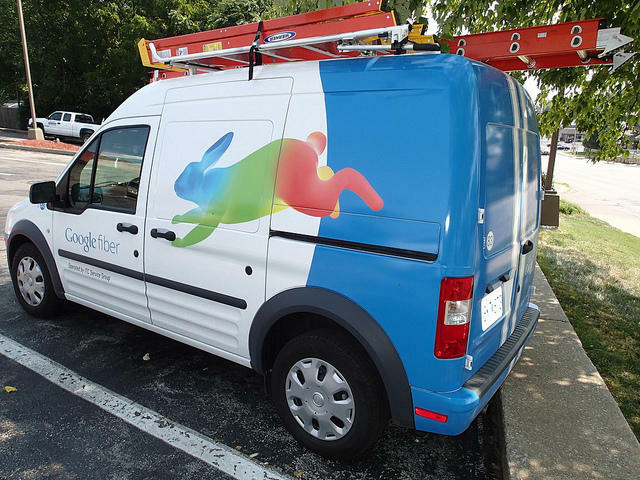 "The one issue that had a lot of questions from the council members dealt with an issued called indemnification, and we readily resolved that after that council meeting and have been ready to approve the Google Fiber roll-out in Overland Park for quite sometime." The California-based technology company has said it won't build its fiber-optic network in areas with strict construction guidelines. And that means cities like Overland Park that want the Google brand will have to play by its rules. "The City does not typically give indemnities of any kind, however, you will recall Google has consistently demanded this indemnification," according to a summary of the agreement prepared by Overland Park City Manager Bill Ebel. Still, says Lyons, partnering with a big-name company like Google makes sense for Overland Park. "I've felt all along we've got the ideal demographics for the kind of people who would want to purchase their service," says Lyons. "I've felt all along that whatever reasons they had for delaying it would ultimately come back where they would want to move forward with the project." The two plans before the city council Monday night give Google Fiber two options: Build its own network huts on city property, or use Overland Park's existing fiber lines.